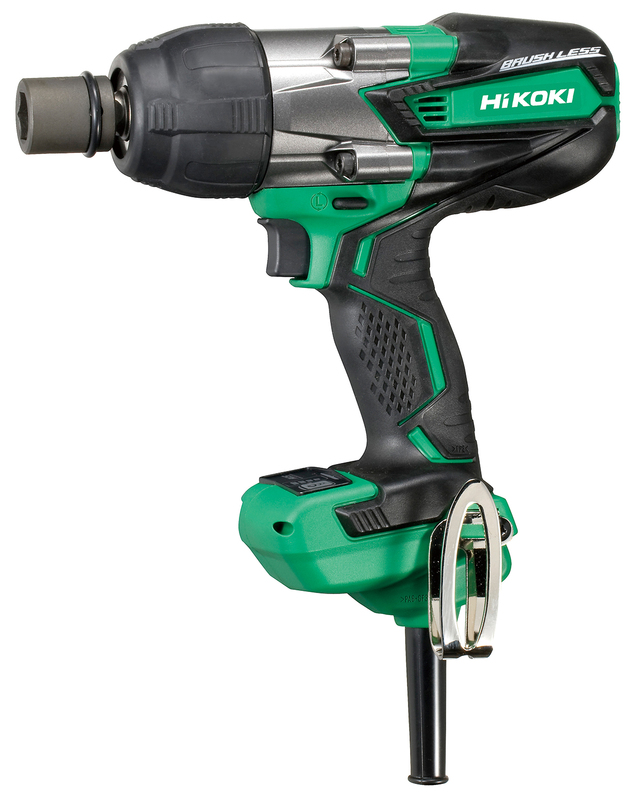 Continually monitors power and load, providing stable torque even with extension cord use. No carbon brush to replace. Longer service life and maintenance-free. Suppresses kickback when starting and stopping. With tightening mode switch function, the impact tool can be used for a wide variety of tasks. Less pulling force and smooth stroke for fine control. Bumper : Protects the hammer case. Housing protector : Protects peripheral of the housing. Reduces slippage and fits comfortably in the hand. In comparison with the conventional model WR14VB. Test Condition : Extension cord, length 100m (50m cord x 2) which having 2.0mm2 nominal cross-sectional area of conductor. The tri-axial vibration values were measured according to EN60745.